This Slow Cooker Breakfast Quinoa is a dump-it and forget-it kind of meal. Throw all the makings of a delicious breakfast in your slow cooker, let it cook overnight, and in the morning…breakfast is served! Slow cookers are usually reserved for dinners. My slow cooker’s typical day looks something like this: fill up with yums in the morning, chill for the whole day cooking up whatever yums are inside, delightfully surprise us when we arrive home in the evening to a warm cooked meal. But who says slow cookers can only be used for dinners? Today we’re setting our slow cookers to cook overnight to create the most warming, delicious breakfast! This isn’t just any breakfast. This is quinoa for breakfast. You heard it here first, folks! 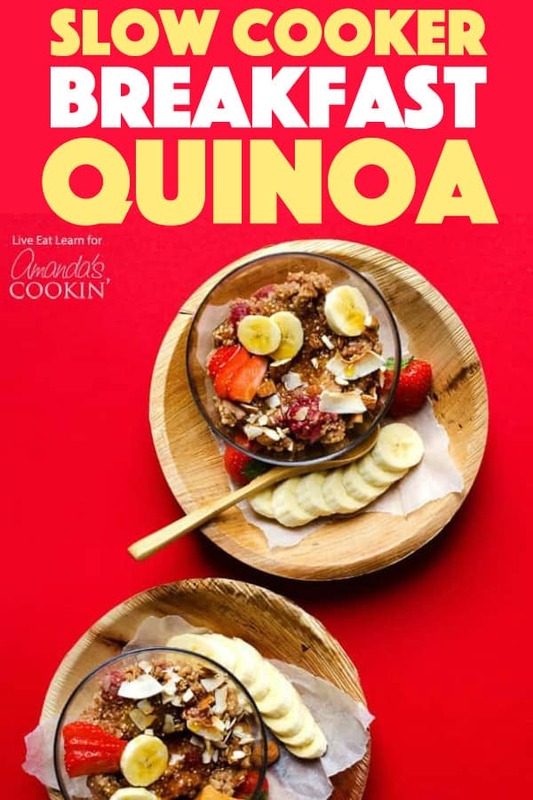 We’re subbing our usual oats for quinoa, a protein-rich, high-fiber super “grain”. Throw in some strawberries, banana, milk, and almond butter and we’re on our way to a strawberries-and-cream-esque breakfast that’s about to fill your house with the tasty aroma of Saturday morning. Let’s cook. 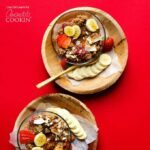 This breakfast quinoa is the answer to all your busy mornings! Just prep it the night before and wake up to a warm, delicious breakfast and get out the door when you need to. Don’t miss more slow cooker recipes on the blog ranging from dinners to desserts and so much more! Creamy Crockpot Macaroni– one of the most popular recipes on this blog. Great for game day, Thanksgiving, or as the perfect side. Vanilla Dream Crockpot Poke Cake– can you say YUM? This easy, crockpot poke cake is great for those busy afternoons spent cooking. Throw this in the slow cooker and forget about it until dessert time. Slow Cooker BBQ Meatball Subs- delicious slow cooker meatball smothered in BBQ sauce. Another great recipe for game day to make into mini meatball subs, or as a filling and easy weeknight dinner! To Die For Pot Roast– another favorite slow cooker dinner. This pot roast is melt in your mouth delicious. Cake Mix Apple Cobbler in the Crockpot– desserts have never been easier when it comes to this apple cobbler in the slow cooker. Just dump it and leave it- then come back later to enjoy! Crockpot Caramel Apple Cider– slow cookers really can do just about everything! This caramel apple cider is a tasty end to a chilly night, or great for fall and winter parties! 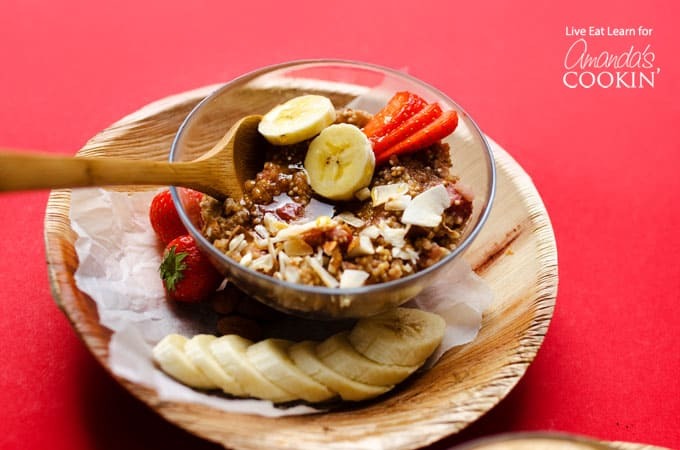 This Slow Cooker Quinoa Breakfast is a dump-it and forget-it kinda of meal. 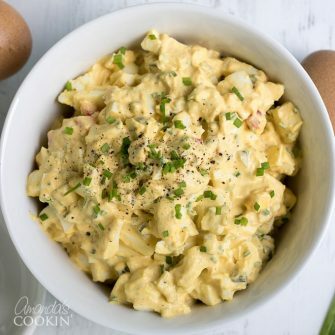 Throw all the makings of a delicious breakfast in your slow cooker, let it cook overnight, and in the morning...breakfast is served! 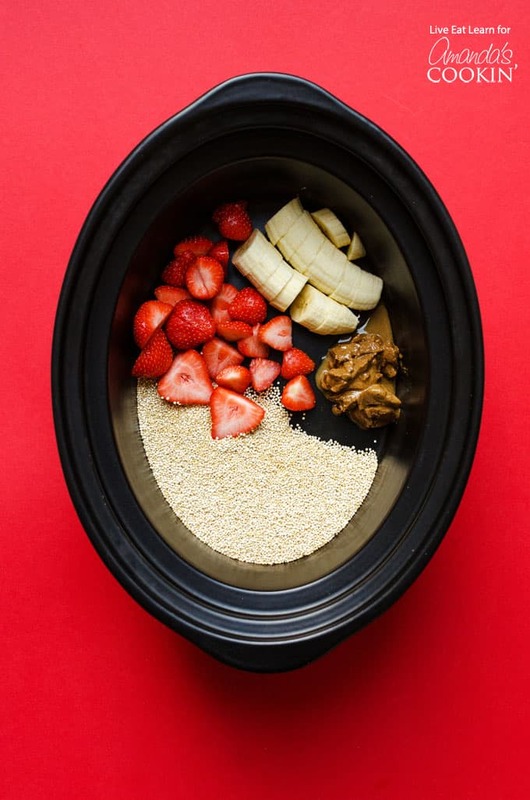 Add quinoa, milk, strawberries, banana, and almond butter to a slow cooker. Cook on low for 6 to 8 hours. Serve warm, topped with sliced fruit, honey, and any nuts or seeds you have on hand. Calorie count includes 1 teaspoon honey per serving. This post was originally published on this blog on Jan 31, 2018.